Meet Pope Francis’ big brother! 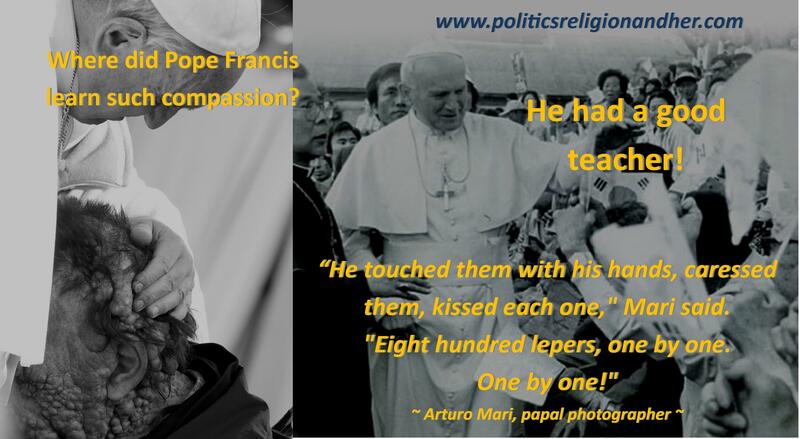 In 1984, Pope Blessed John Paul II visited a leper colony in South Korea. There he embraced the 800 lepers, kissing them and showing them the love of Christ. This entry was posted in Current Events, Pop Culture, Religion and tagged Catholic, human dignity, John Paul II, Matthew 25, Pope Francis.